Post ROM editors for Pokémon games here! A tool for hacking Pokémon XD: Gale of Darkness. It isn't complete but it is still being actively worked on and will be updated with new features over time. Mac OSX only and designed for US versions of XD. ? 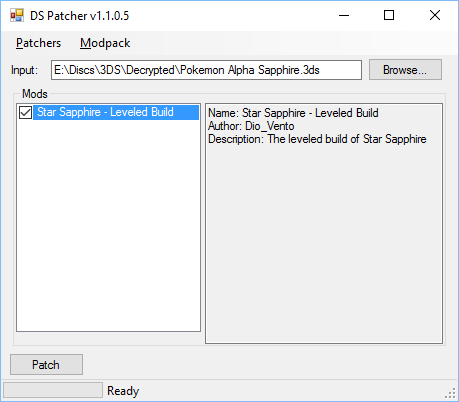 This program can build custom Gen 5 Pokémon Distribution ROMs from a .pgf event file and a clean copy of the Liberty Ticket distribution ROM (both not included). The source code can be found on GitHub. I may forget to update the file here, so be sure to check the GitHub Releases. Use to edit Evolutions of Pokemon, example Evolve without Trading, evolve without stones etc. This tool is used to rip out textures used for the game's UI, Pokedex Images and other resources. Normaly, distributing ROM hacks for NDS ROMs involves an XDelta patch applied to the entire ROM. 3DS hacks usually involves tedious ROM extraction and file replacement. Patches applied to the ROM as a whole do not support multiple regions of games, and tedious ROM extraction and file replacement is a chore. DS ROM Patcher aims to fix that: a single easily-distributable zip file contains everything that's needed to apply a hack to a ROM. The supported input and output formats are the same as in my .Net 3DS Toolkit: 3DS, CIA, and Hans. Instructions for creating and applying hacks can be found at the GitHub Readme page. Requires the .Net Framework 4.6.2. GameCube Rebuilder a tool for editing Nintendo GameCube images. This is a text editor for Pokémon Mystery Dungeon: Explorers of Time, Darkness, and Sky. 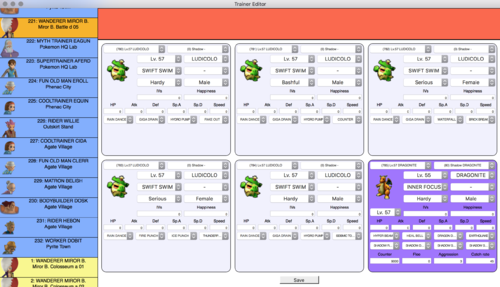 Tile Molester is a multi-format, user-extensible graphics data editor that lets you create, view and edit graphics in arbitrary binary files, with a particular focus on binaries for game consoles. 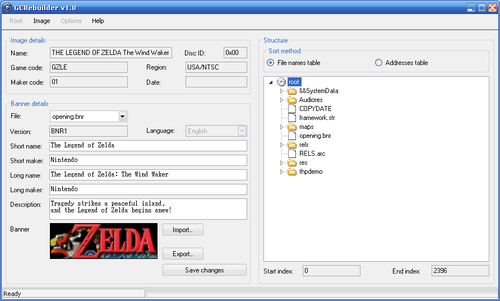 A multi-file LZ77 (de)compression utility for Nintendo DS editing.